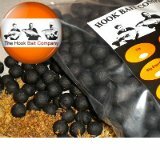 I like the stuff produced by the Hook Bait Company, because I generally don’t like using mainstream hookbaits that have been produced by the billion, that has never been my style, even when I have used them I have had to tweak them because I would rather have something a little more bespoke and individually crafted, that way I have separation from the masses. Now don’t get me wrong, I am not slating any of the baits produced by the big companies out there such as Dynamite or Nutrabaits as there are some fantastic baits out there with their logos on the bag but it needed to be something exiting and a little bit special to get me back into the whole “consultancy” role so soon after the closure of Teme Severn and the Hook Bait Company has provided that little bit of something special. For several years now I have been aware of this small company producing high quality bait for a rather small circle of friends, my fishing partner Martin Womble was one of those friends and his bait of choice was the “3-B” boillie. The time has now come however for the Hook Bait Company to extend its circle of friends and that is where I will be coming in. From this point onward I will be the “Consultant Big River Specialist for the Hook Bait Company”, everything I catch will be documented and placed up in blog form on this site, the success of each bait will be discussed in depth and an open invitation will be given out to you to join this circle of friends. To start off with however I will introduce the “River Specialist” range of baits from the Hook Bait Company, these will be forming the backbone of my Barbel and Chub fishing and I expect to do very well on them, very well indeed! This is THE bait that launched the company. The River Secret range of baits was designed for the sole purpose of attracting the very large elusive chub in the Upper River Severn. Tested over a period of 3 years this bait has a track record that is hard to beat when it comes to consistently attracting chub into your swim. This is a true classic in the making with many large chub taken to over 7 lb and barbel to 16 lb, this bait is instantly recognised as a valuable food source that is packed with vitamins and minerals. 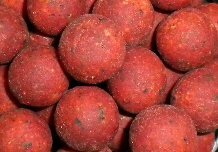 A mix of selected fish, meat and milk products combined with our special flavour gives the bait a rounded profile that barbel in particular, home in on. A very dark and rich bodied mix which contains a multitude of natural food items including snails, shrimps, daphnia and krill – blended with fish and marine meal and top quality milk derivatives making this mix truly natural. For flavour we thought long and hard and, after trials we came up with a blend of anchovy and real worm extract along with a liquid fish protein that just smells superb. We highly recommend this bait if you are targeting barbel or chub. This is the bait to attract the attentions of wary carp that have seen it all, or for attracting the attentions of chub and barbel in moving water. This fish based product includes low temperature fish meals, salmon meal, anchovy, belachan, squid and butyric acid. Squid and salmon oil are perfect partners for this tremendous bait and will retain its smell and attractive qualities, making it a highly effective long-term food bait source. Well I’m looking for an alternative to my T7 favourites too. You’ll be needing to sub out to a Ribble consultant…….